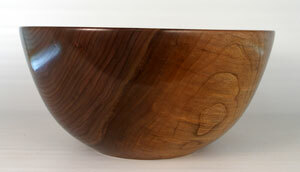 This black walnut bowl is ready to be used for the family gatherings. It is 12 1/2″ by 6″. The wood came from a road widening project.